We can hardly believe we are on the last day of January and Super Bowl Sunday is just days away. 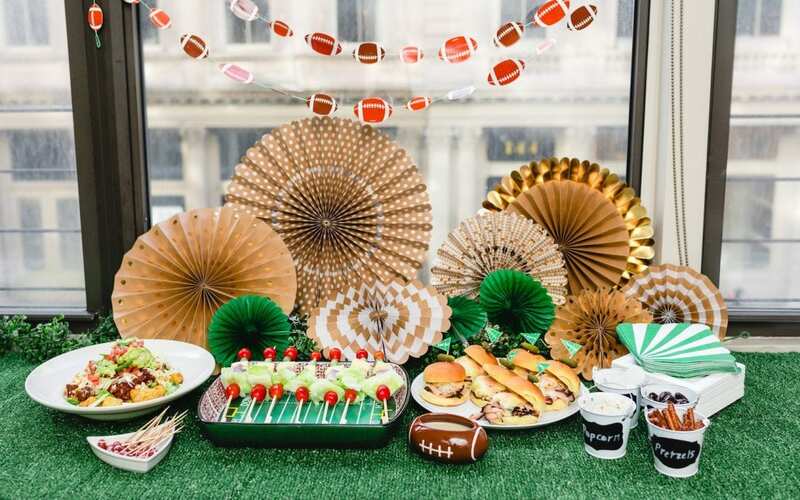 Thankfully, we have some ideas on how you can throw together an easy Super Bowl party that will keep the energy going throughout the 3 hours of football, commercials, and halftime entertainment! With recipes for totchos and sliders, this party is perfect for the whole gang to enjoy. 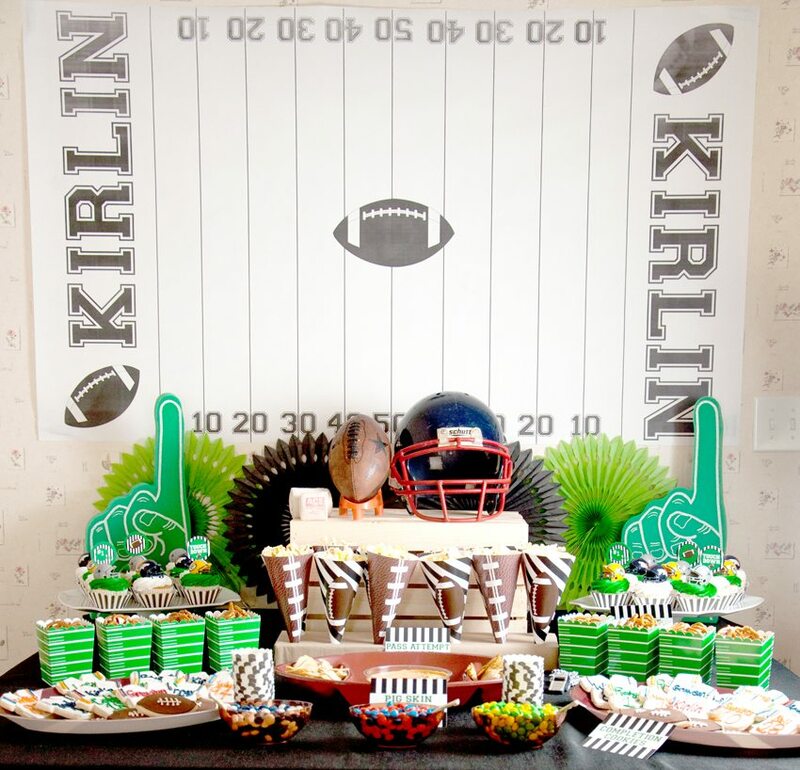 A grass tablecloth makes a nice backdrop for your football snacks and treats. 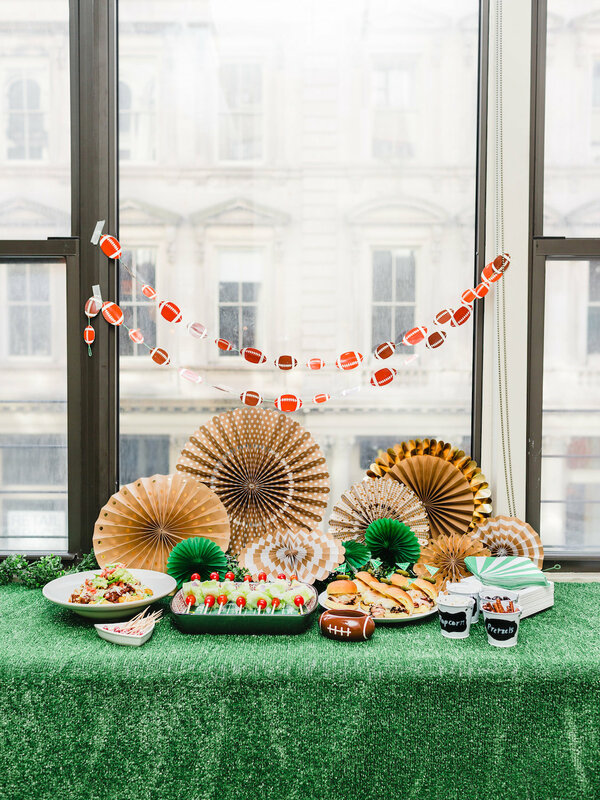 Giggle Living shares her Super Bowl party ideas with classics like tomato soup… topped with cheddar popcorn! Kids in the crowd will love this Game Day blueprint from BellaGrey. The foam fingers are so much fun!